I'm following through on Mike G's recommendation to nominate it. Just to briefly reiterate what I love about Taqueria Puebla: The proprietors, while being genuinely warm and welcoming, are primarily devoted to serving great food. I remember them not allowing me to order a pombazo to go because they said it must be eaten right away. They seem to always be developing new menu items, but won't serve them until they meet their high standards. I proudly nominate Cemitas Puebla for the coveted GNR award. 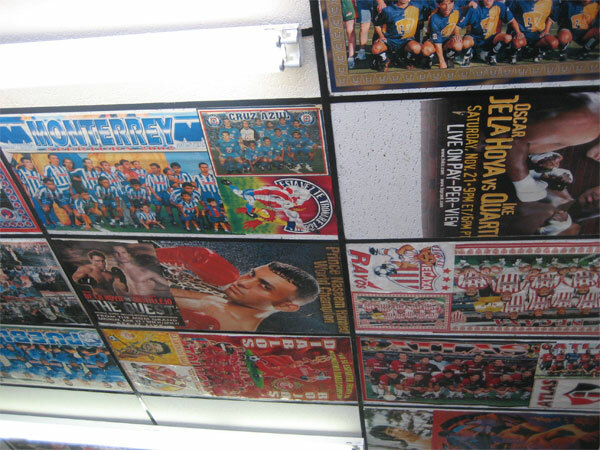 I've been to TP a number of times (old location only) and enjoyed the food immensely, especially the tacos arabes. It's certainly one of the most interesting taquerias in town and, while interesting is good, delicous and interesting is better. TP's interesting items are also delicious. Antonius wrote: I've been to TP a number of times (old location only) and enjoyed the food immensely, especially the tacos arabes. It's certainly one of the most interesting taquerias in town and, while interesting is good, delicous and interesting is better. TP's interesting items are also delicious. Fun lunch, nice to meet Dmnkly, I urge folks to give Taqueria Puebla a try if you haven't already. Mike G wrote: G Wiv is going to post more about the goodies that came on our sandwiches and TP's commitment to quality, I know, but I just want to say that we were impressed to get in-house-roasted chipotles on our cemitas, some herb G Wiv knew to ask for, and various other not-from-a-can-or-a-Sysco-truck touches that lift these sandwiches above the ordinary and, indeed, make Taqueria Puebla an example of the kind of place that cares more, tries harder, and well deserves a Great Neighborhood. Enjoyable lunch made even more so by TP's understated, but ever present, commitment to quality. 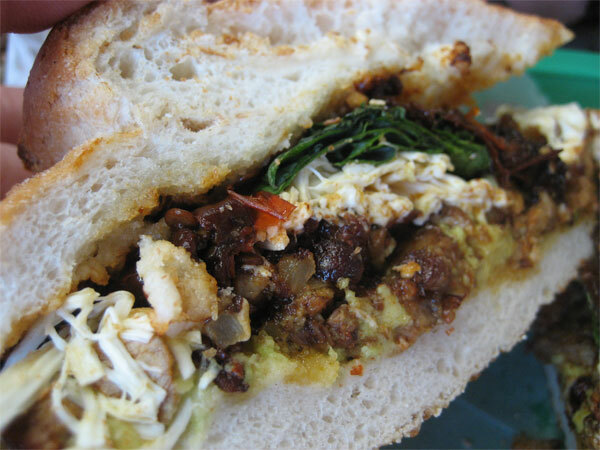 Cemita de Milanesa w/chipotle and papalo, the herb you mention, are made on the spot, no premade milanesea, chipotle are marinated in house, Oaxacan string cheese imported from Mexico the sandwich practically sparkles with attention. Other commitment to quality touches such as Al Pastor only on the weekends when it's busy, they could have it all week, but he said it would suffer in quality. Service was terrific, our waitress came over 3-4 times to clear napkins, bring additional soda and generally inquire as to our meal. Speaking of meals, if I remember correctly, the only difference between a Taco Arabe and Taco Orientales is Orientales is made with corn tortillas. Clean, friendly, inexpensive, caring service, interesting bright interior and good food made with care. 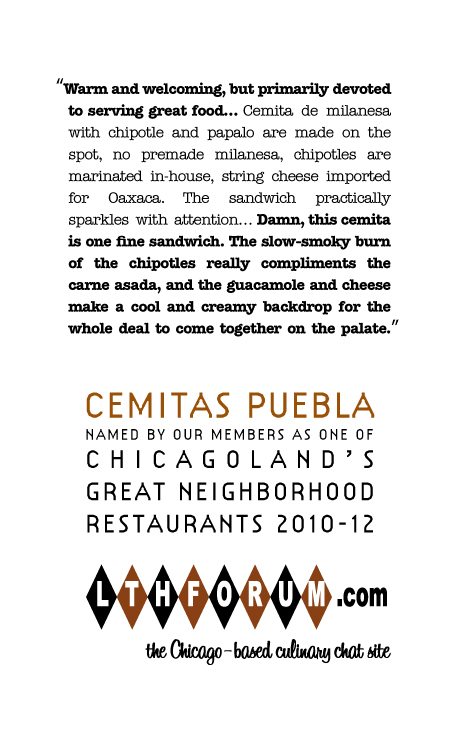 I certainly agree Taqueria Puebla is deserving of an LTHForum GNR. 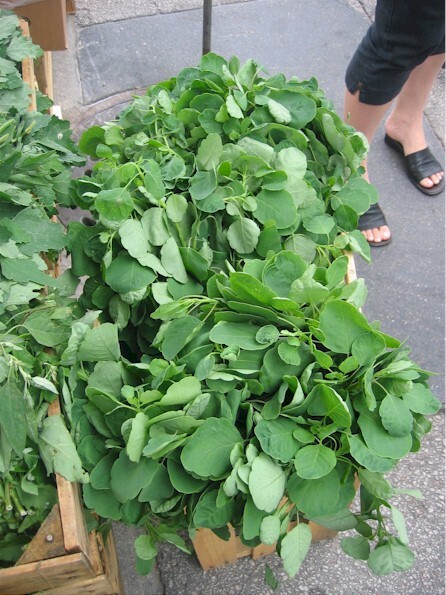 It's an herb where either you see in everywhere or you don't find it at all. This photo above was taken at the Maxwell Street Market last August, on a day it was everywhere. (Obviously I support this nomination). I haven't been since the reopening, but I really enjoyed the place on a previous visit. Haven't rushed back but, hey, I've got a lot of places to try. Anything that Ronnie starts out with "Holy Sh*t" has to be good. Owner Tony couldn't be a better sport, or chef. Let's hear some other recent experiences and recommendations or reservations. No reservations whatsoever. This is the GNR I visit more than any other, and easily in the top five of my most dearly missed restaurants while on our temporary relocation. That food so carefully prepared emerges from that postage stamp of a kitchen never ceases to amaze me. My only recommendation? Amend the GNR to reflect the new name, Cemitas Puebla. Dmnkly wrote: Amend the GNR to reflect the new name, Cemitas Puebla. That's a great idea! This is one of the places that is a shoe in for renewal. A great, great place that clearly deserves to be renewed. My first lunch there, a few months back, was a revelation and subsequent visits have all been at the same level. This is a place I think about often, crave and would visit with much more regularity if it were closer to my house. Even so, I'll make a dedicated trip, 20+ miles each way, to eat this food. And you can only imagine how many other, similar places I pass to get there. Considering Cemitas Puebla's Cemita de Milanesa has etched it presence into my very consciousness, culinary and otherwise, I strongly support GNR renewal. Great place, one of my favorite GNR's I went to in the past year. The Atomica is one of, if not the best sandwich in Chicago imho. A truly great place for both the cemitas and the tacos arabes. Completely deserving of the GNR. A classic among classics. I'm swinging through on my way home tonight. A cup of cemita sauce, a fistful of papalo, and thou. The quesadilla de chicharrones w/a side of chipotles in adobe is among the best ways possible to spend $2.50. And one other word... Atomica. Yes on renewal. Jazzfood wrote: The quesadilla de chicharrones w/a side of chipotles in adobe is among the best ways possible to spend $2.50. And one other word... Atomica. Yes on renewal. What ^ he ^ said. The Atomica is pretty much my favorite sandwich in the entire city. Cemita de Milanesa, quesadilla de chicharrones, Atomica, tacos arabes are among my favorite eats in Chicagoland. That plus the friendly father son duo in charge make Cemitas Puebla a must stop for any and all and a slam dunk GNR renewal. Cemitas Puebla, count me a fan! 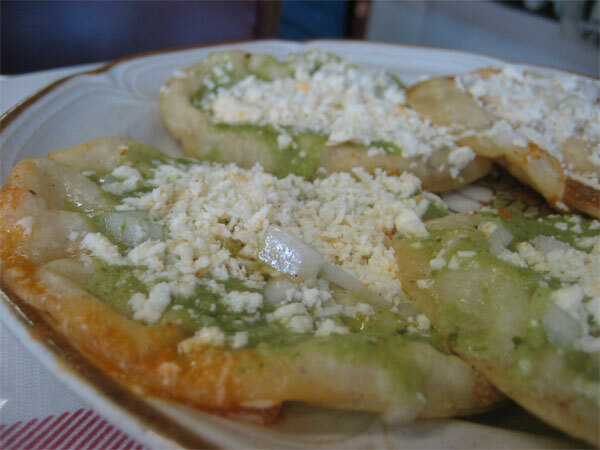 I had yet another great lunch at Cemitas Puebla with Jazzfood this week. While CP hardly needs my endorsement for GNR renewal, I'll give it anyway. Keep up the good work! I've been making it to Cemitas Puebla maybe once a year for several years, and you have to hand it to these guys for consistency: the presence of papalo notwithstanding, the sandwiches seem to remain pretty much the same high-quality year-after-year, no laurel resting, no cost-cutting sacrifices of quality. GNR fer sure.